HeliVert, a Moscow Region-based joint venture of Russian Helicopters and Leonardo Helicopters (formerly known as AgustaWestland), has obtained permission to offer MRO services on AW189 medium twins. The Russian aviation authorities issued HeliVert a certificate permitting it to provide maintenance on both Russian- and Italian-built AW189s, up to and including the scheduled forms prescribed after every 800 flight hours or every two years of operation. The company is cleared to perform operational maintenance, basic repair operations, and replacements of engines and other components. HeliVert personnel also have clearance to conduct laboratory tests and repair aircraft parts. It will begin offer MRO services on AW189s after the first examples of the type have been delivered to Russia. The AW189 was issued a Russian type certificate in August 2015. Russian oil and gas giant Rosneft plans to buy 160 of the type by 2015; the first 10 are expected to be delivered from Italy, with the remainder assembled at HeliVert’s Tomilino facility outside Moscow. Weighing in at 8 tons, the AW189 is the largest member of Leonardo’s new twin family, which also includes the AW169 and AW139 models. 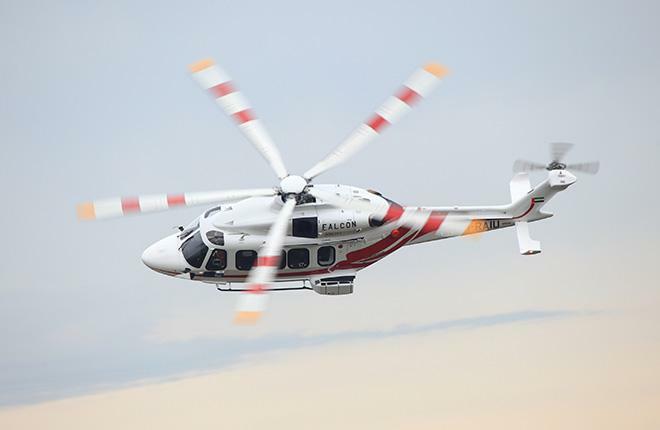 HeliVert already assembles AW139s and provides MRO services on the type. "AW139s customers are considering to upgrade their helicopters with the AW189s"